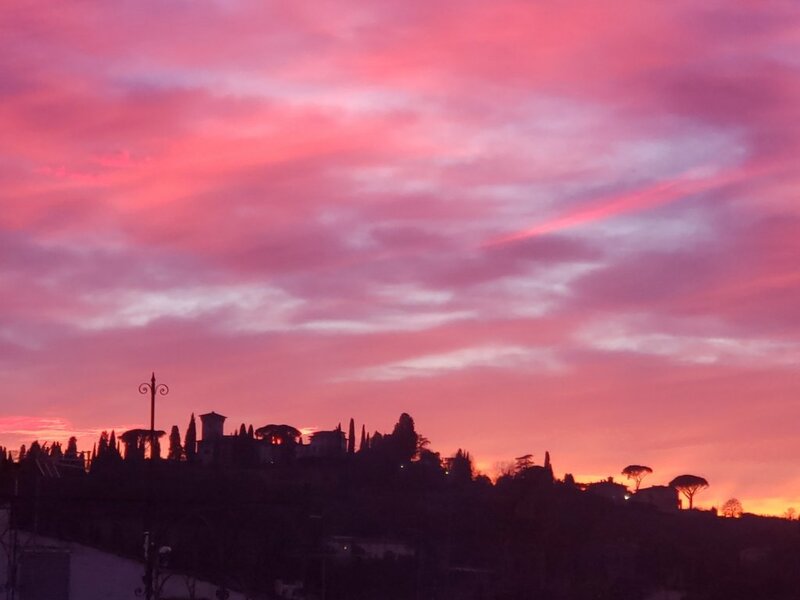 Recently while visiting Florence, Italy we made the drive out near Siena to explore the wonderful hot springs in the area at Terme San Giovanni Rapolano. Tuscany is full of surprises from the sweeping countryside, to the incredible wine, and the historic architecture. It’s a unique experience though to heal oneself in the natural hot springs. Terme San Giovanni Rapolano is located in the rolling hills of the Crete Senesi region of Tuscany, very close to Siena and the Chianti region. 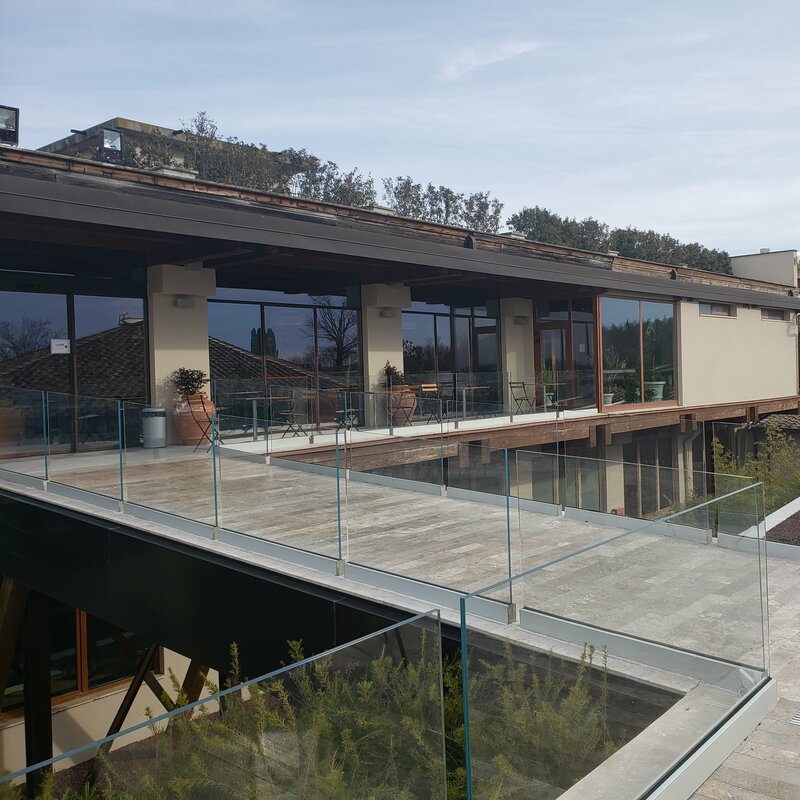 The Terme is a hotel/spa and wellness center. We just drove up for the day. We received a scrub and massage after relaxing in the thermal pools. Later we enjoyed lunch from their health conscious menu, with red wine of course. 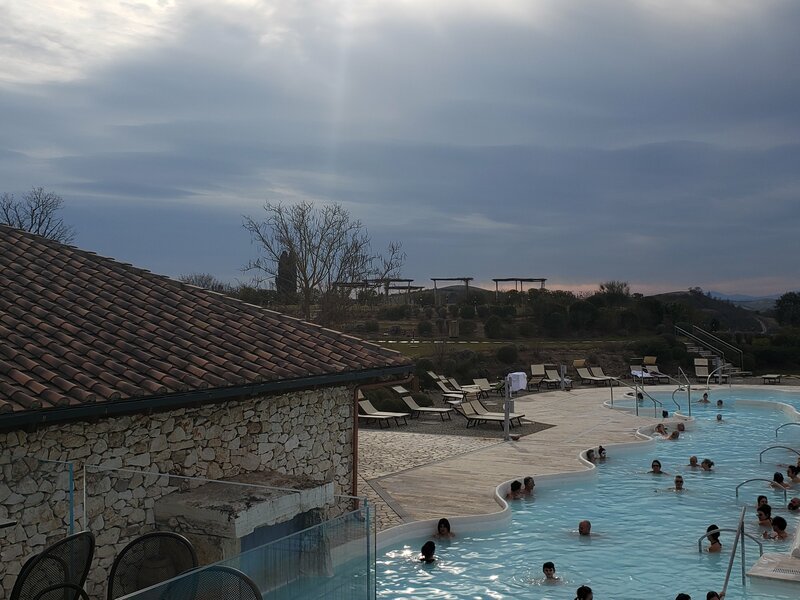 There are many incredible health benefits to be had from the hot springs at Terme San Giovanni, which are naturally about 100 degrees Fahrenheit and are rich in sulphur andcalcium bicarbonate. The mineral waters are healing for muscles, skin and it is even good for the respiratory system. Psoriasis and eczema are notably reduced while muscular aches and pains are eased. Inhaling the mineralized steam of the water helps to disinfect the respiratory tract and can improve breathing. Enjoying these healing waters while looking out at the landscape of Tuscany is really something that shouldn’t be missed while visiting the area.